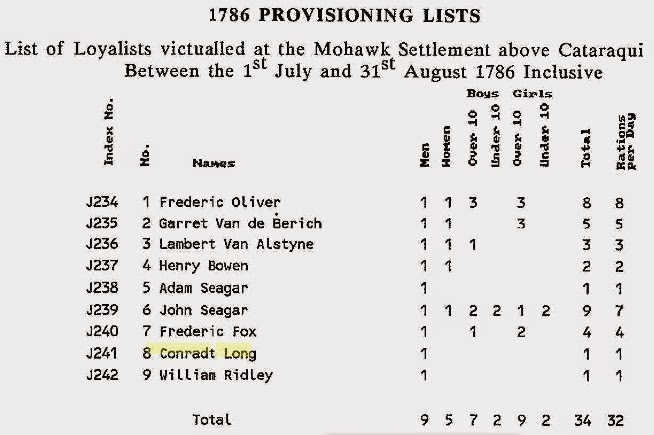 The Hessians soldiers who came to America during the ARW are listed, for the most part as LANGES. The Long family name didn’t simply exist during the 18th century in Germany. However, the Lang family name was widespread in Germany. In the British Isles, the Long family was just as common as the Lang family name in Germany. The German Langs who immigrated in America have, for the most part, changed their name to Long since the communities were mainly composed of immigrants from the British Isles. 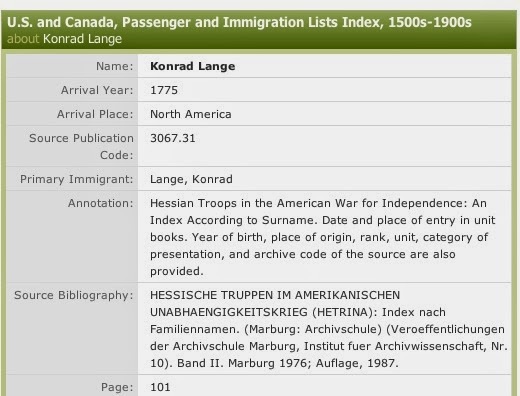 What happened to the name Lange of those Hessians who stayed in America after the ARW? I don’t have a long list of those Langes to begin with, and finding those few might be a difficult task, but not impossible. I already have three examples that gives credebility to my hypothesis. It’s very important to find as many of them, because my ancestor (according to my hypothesis) changed his name from Philipp Lange to Philip Long as soon as he enlisted in a Loyalist regiment, the WFRF. that is, from Lange to Long? 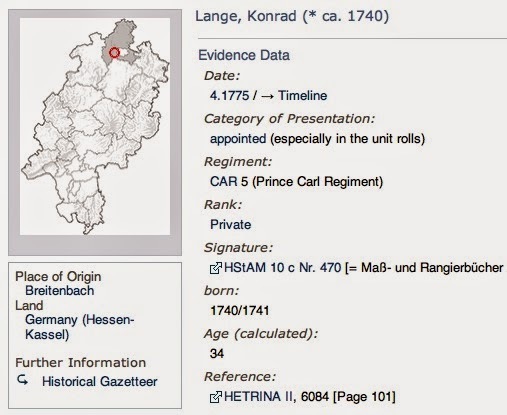 The screen capture below was taken from HETRINA at the Marburg Archives in Germany. In fact, this is where the military files of the Hessians are kept. The second capture below is related to the one in HETRINA. It says that Ludwig was a Hessian soldier with the family name of LANGE, that he was born between 1753 and 1756 and that he belonged to the DIT 4 Company. He has become a farmer in Canada and his family name is now LONG. Jacob Lange was also a Hessian, a soldier in the Waldeck regiment. The record below says that he arrived in Nova Scotia as an immigrant in 1784. He immigrated in Canada with the numerous other Loyalists. Two communities in Nova Scotia were started exclusively with 223 Hessian soldiers. Jacob Lange was one of them. Britain granted each one of these Loyalists a parcel of land. 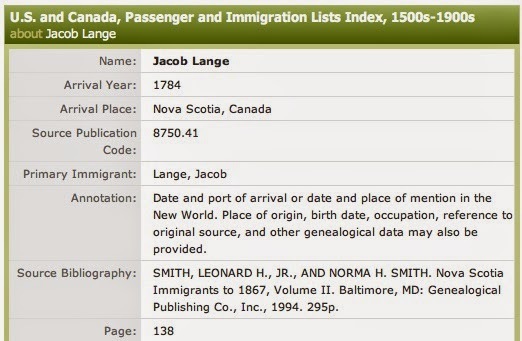 The next screen capture shows that Jacob changed his family name as soon as he set foot in Nova Scotia, even though his community was entirely composed of German loyalist immigrants. The screen capture below shows that no time was lost in changing his family name. 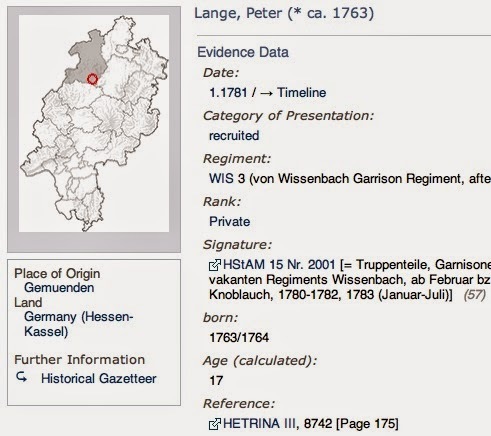 Another Hessian soldier was Peter Lange. He, too, moved to Nova Scotia with the other Loyalists in 1783-4. The screen capture below shows his military file in HETRINA. 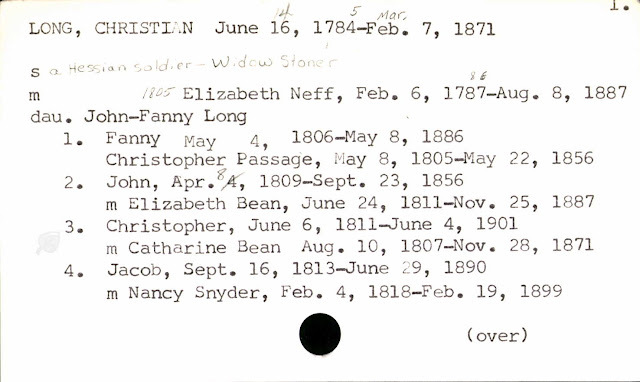 The following screen capture is the very same at the one above and shows that Peter changed his family name to Long also and was granted a parcel of land in Dibby, Nova Scotia. Soon, I expect to have more examples of Hessian Langes who change their family name to Long when they decided to stay in America after the ARW. Still, I’m searching documents about five more of these Hessian Langes who stayed on this side of the Atlantic. Konrad Lange was a Hessian soldier in the CAR 5 Regiment. He was born in 1740-1 as his military file in HETRINA says. Konrad was appointed in America in 1775. His name wasn’t mentioned if Merz’ Index. 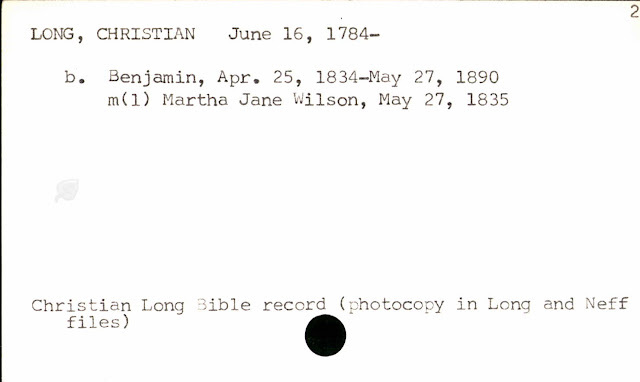 The following record was extracted from HETRINA and signifies that Konrad was present in Canada in 1783. 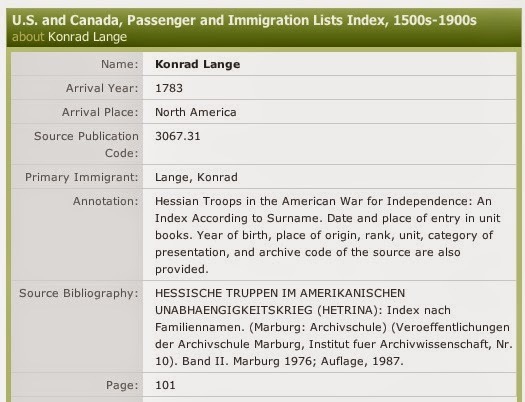 Konrad Lange became Conradt Long and was a member of the United Empire Loyalists. The screen snapshot below says that he was classified as S., which means Soldier. He was surely a Private during the ARW. A look at his Hessian file indicates exactly that. In 1786, he appeared on a Provisioning List. He was living alone. Thanks to a correction made to a file at the Lancaster Mennonite Church, we know that Christian Lange, a Hessian soldier, stayed behind in 1783 instead of going back to Germany. It seems that he bought his freedom. Here is the corrected file in the Mennonite Church. The file describes the family of Christian Long, son of Christian Lange (Hessian). Christian Long went to live in Livingston New York around 1855. Here is the same information as published in Ancestry. Was there a Christian Lange in Hetrina? Yes, and he was from Allendorf (Hesse-Cassel) Germany. In the Mennonite file, it says that he married a woman by the family name of STONER. I concur with your conclusion about Jacob Lange (Long). 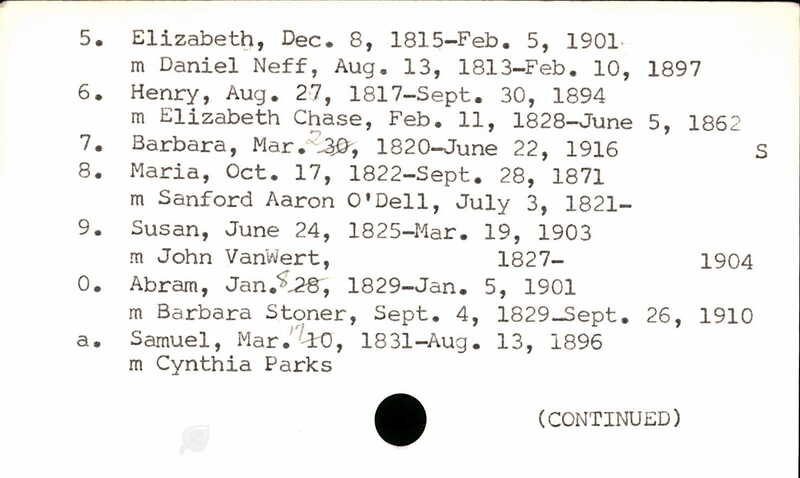 I am familiar with the family history as I have been trying to determine whether there are links between Jacob and Peter Lange (Long). I am less certain about whether the Peter Lange that you have selected from Hetrina III is the Peter Long that shows up later in Nova Scotia. I say that as there is not as much known about Peter Long (as he is called in Nova Scotia records). I am hopefully about your work and I would like to now more about how you came to your conclusion. Would it be possible to share more with me?